Hoi An was the major town that linked local traders in the ancient city with other traders from prominent Asian countries like Japan and China. This trade mostly took place between the 15th and the 19th centuries. The impact of this trade is still seen today, as the city street plan and buildings reflect the fusion of the indigenous Vietnamese architectural designs and the imported Japanese, French and Chinese designs as a result of early colonization. The ancient city of Hoi An is fairly popular and its popularity earned it the tag “The World Heritage Centre” from the renowned body UNESCO. Fast forward to this present day, the city still retains its picturesque look. 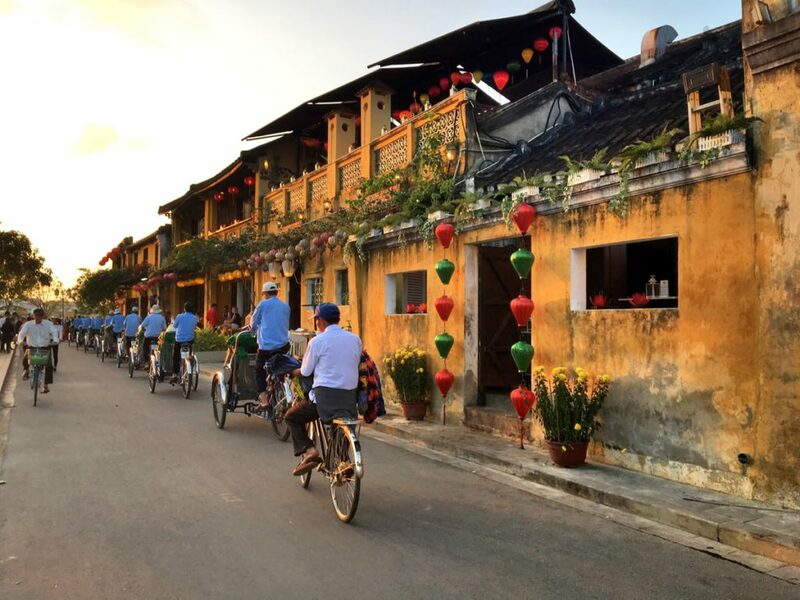 Hoi An has become one of the most popular hubs for tourists. In fact, many of the buildings have been renovated or converted to museums, restaurants, hotels, bars, and edifices to accommodate these tourists. Visitors to this beautiful town always confess to being thrown back into time whenever they step feet into this old city. In the middle of the town sits the prominent bridge known as the ‘Japanese Covered Bridge’ under which flows the Thu Bon River. The city is surrounded by a huge beach and large rice paddy fields. For first-timers, the city of Hoi An is a thirty minutes drive from the southern part of Da Nang city. Da Nang city is popular not just because of the ultra-modern airport located in the city but also the fact that it is a favorite destination amongst golfers and has the most popular golf club in Southeastern Asia. However, Hoi An seems to have had less and less number of mentions despite having world-class golf courses. Some of the golf courses in Hoi An are being designed by top golf course designer, Robert Trent Jones II. Rosewood Hotel and Resorts made an announcement that their world-class resort projects were billed to be completed in 2019 alongside the 18-hole golf course. Besides the golf course, the resort also has plans of building tennis courts, fitness centers and residences with swimming pools. Just 25 minutes drive to the north of Hoi An are two large golf courses. 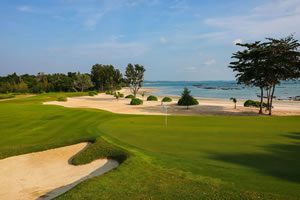 One is known as the BRG Danang Golf Resort and was designed by Greg Norman, popularly called the ‘Great White Shark.’ The golf course features fast greens and sand-dunes and golfers believe it is the best ‘link style course’ in the whole of South-Eastern Asia, not just Vietnam. Another strategically laid out course that is a perfect combination of link style course and park lane is the golf course known as Montgomerie Links Vietnam. This course was designed by Colin Montgomery. One hour drive to the north of Hoi An is another enchanting golf course – Ba Na Hills Golf Course. The course is littered with mountains and was engineered by Luke Donald and manned by the prestigious IMG group. The Ba Na Hills theme park is also popular for having the world’s longest single cable ride, a beautiful garden, and exquisitely designed French colonial edifices. After several rounds of golf, the park is surely a source of refreshment. Another golf course, the ‘Laguna Golf Lang Co‘ is situated right in the Angsana Lang Co Resort that is just slightly farther to the north of Hoi An. It’s not always a long boring trip to the Laguna Golf Lang Co, as there are natural beautiful scenes one can behold while en route from Hoi An through the Hai Van Pass. Along the Hai Van Pass, the Truong Son Mountain provides an aerial view of the valleys and clear beaches of the Da Nang Bay. 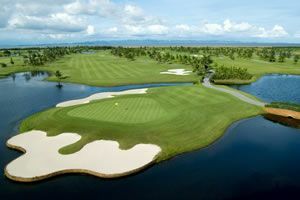 The work of Sir Nick Faldo (the Laguna Golf Lang Co) is one of the masterpieces in Vietnam and the whole Southeast Asia. It features huge bungers and carefully and technically placed greens on a vast land accommodating mountains, rice paddy fields, and a beach. While Hoi An is known for the tremendous golf courses, this beautiful ancient town is hospitable to visitors with lots of exquisite resorts and remarkable services. It’s a favorite for golfing holidays. The town along with the neighboring Da Nang area is best visited between February and June when there are little rainfalls and a comfortable temperature. Are you ready for the time of your life in the historic town of Hoi An? At Golfasian we are at your service to make your Hoi An golf holiday travel plans come alive. We are eager to help you simplify your trip with precise and well-articulated planning. Contact us at info@golfasian.com to get started.